Tablez, the organised retail arm of LuLu Group International, is ringing in the summer season with the opening of a new outlet of Cold Stone Creamery at The Forum Shantiniketan Mall, in Whitefield Bengaluru, today. 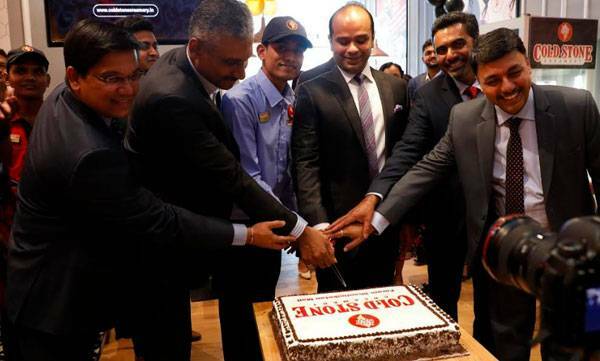 This is the 6 th store of Cold Stone Creamery in Bengaluru, with expansion plans of adding 6 more outlets in the city by the end of 2019. Cold Stone Creamery’s trained crew guide the customers through different aspects of the experience to help them give an ‘ Ultimate ice-cream experience’. Crew members are trained in not just serving ice cream, but also break into songs, dance and sometimes juggle the ice-cream to entertain their guests. Cold Stone’s delicate ‘chop-chop-fold-fold’ process ensures quick and gentle mixing to prevent the escape of air from the ice-cream.